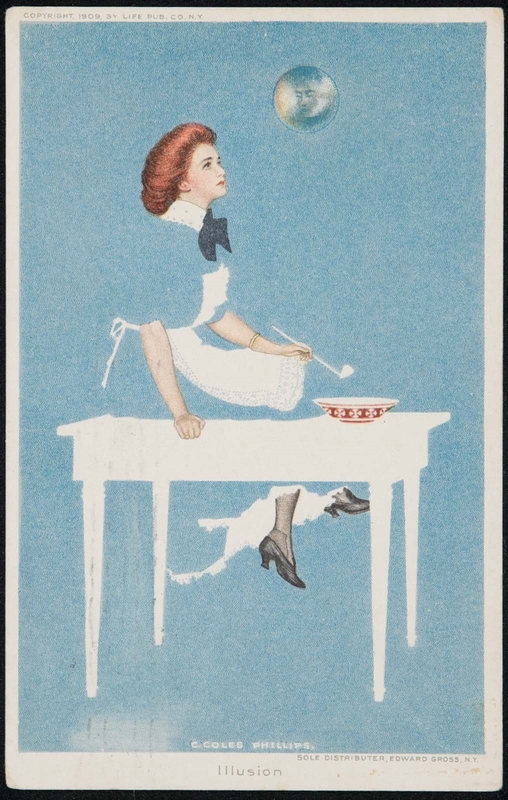 Artist C. Coles Phillips (American, 1880–1927), Publisher Life Publishing Company, Publisher Edward Gross Co.
Front: COPYRIGHT. 1909, BY LIFE PUB. CO. N.Y. SOLE DISTRIBUTER, EDWARD GROSS, N.Y. Canceled. 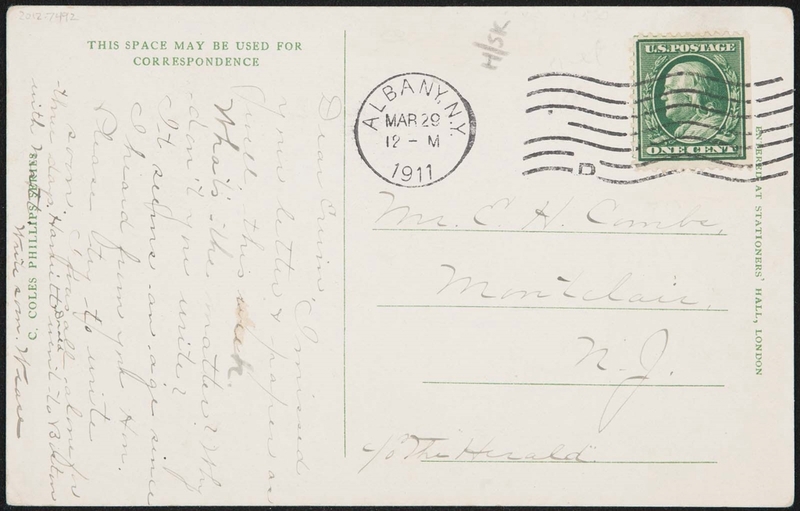 Sent 03/29/1911; from Albany, NY to Montclair, NJ.